Glamping in Snugg Pods at Beach View, hassle tent-free camping for couples and families of up to 4 people. 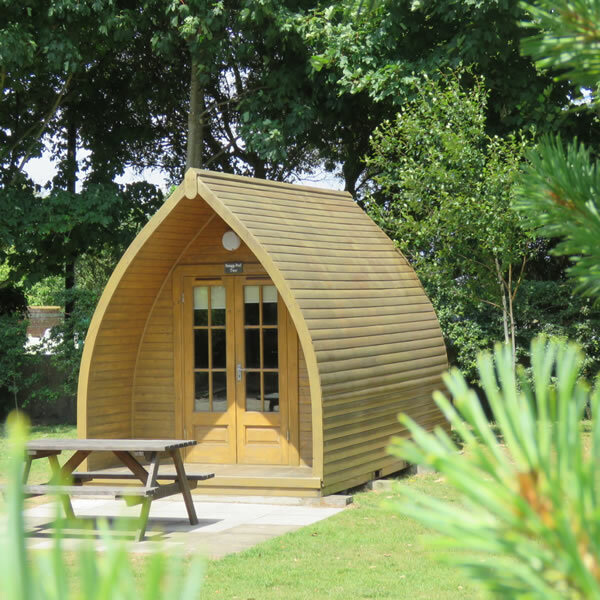 Snugg Pods are available to hire for short breaks or holidays of 2 nights or longer. 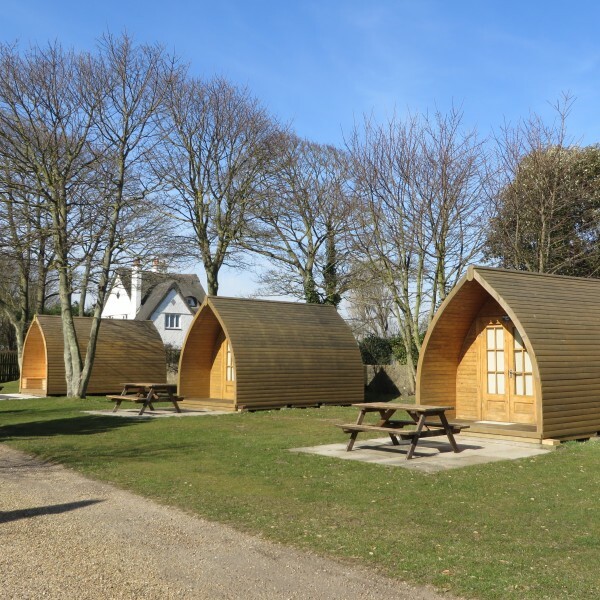 Our camping pods provide heated, undercover camping accommodation, Pod 1 has a double bed and 2 single beds. Pods 2 & 3 have 2 single beds and a bunk bed for children. You also have a mini fridge, 2 domestic electric points, inside and outdoor lighting and use of your own picnic table. Each Snugg Pod is cleaned ready for use, please remember to bring all the camping essentials you usually bring ( this includes sleeping bags, pillows and other bedding, camping stoves or cookers and anything else you usually take), if you are bringing a dog please also bring dog bedding and bowls (*strictly 1 dog permitted in each pod). No tent required, so, no messing about with poles and pegs. If it rains you are guaranteed to remain snugg, dry and warm in your Pod. PLEASE NOTE: Snugg-pods do not have their own toilet or washing facilities, you use the campsite toilet and shower block located nearby. There is a mini powered coolbox in your Snugg-Pod but no cooker/hob. Wifi available on campsite (additional daily charge). A booking deposit of £20 is required at the time of booking, balance payable 4-6 weeks before your arrival date. SNUGG- POD 1 – Double bed and 2 single beds suitable for 4 adults or a family of 4 (1 dog also permitted). SNUGG-POD 2 & 3 Each with 2 x single beds and children’s bunk bed, suitable for up to 2 adults and 2 children (1 dog also permitted).